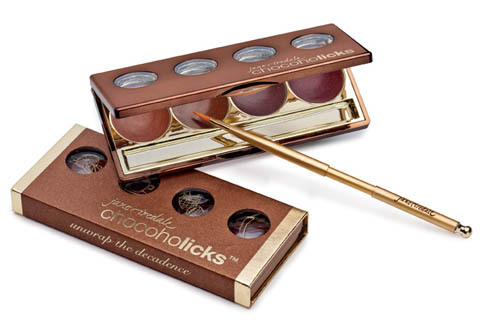 Makeup, like chocolate, is the ultimate treat — they both make you feel luxurious and pampered. So what happens when our favorite candies and beauty picks collide? Well, we’re in heaven. These delicious, fun lip products give you every reason not to skip dessert. Indulge your cravings with our calorie-free collection of beauty sweet treats! Jane Iredale has an entire chocolate-scented collection that will satisfy your (metaphorical) sweet tooth. Each chocolate-y option (including the truffles, pictured above, and the clever chocolate bar palette) smells exactly like it’s sweet treat inspiration, but not sickeningly so. These are completely giftable options, if you’re looking for a cutesy way to share your love of makeup for the holidays. It’s definitely more clever to get a bar of Chocoholicks than it is to get yet another tub of drugstore popcorn. 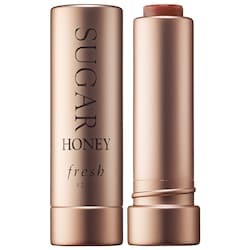 Sugar lip treatments help scrub off dead skin cells so you can avoid that horrible winter chapping. Fresh is famous for their sugar treatments, which means they have tons of amazing colors and scents. If you’re going for the absolute sweetest option, Honey is your best bet. You’ll get a dose of skincare for your lips, a totally natural wash of color, and a tasty honey flavor that will have your mouth watering! 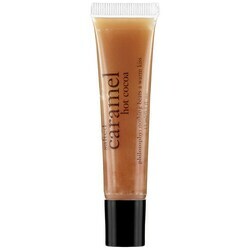 If you’re into sweet, salty, and savory flavors, Philosophy’s Salted Caramel Hot Chocolate Lip Shine is going to be your new favorite gloss. The color is a great transition shade from fall to winter. Because what’s more wintery than caramel mixed hot chocolate? All that’s missing is the toasty fireplace to snuggle up next to. What fun! Thanks for reporting on this new trend.